For every Babyologist who embraces bold, brash colour there is one who is at the opposite end of the spectrum, seeking out all that it natural, calm and serene. If you’re one of the latter, have we the store for you! Pi’lo is all about clean, stripped back understated style and elegance. There’s no bells or whistles to be found here, just calm and serenity. We first made mention of this awesome store back in 2010 and while they still have some of our favourites on offer, we see they have several new things that are perfect for littlies and their beautiful spaces. I adore the stunning Felt Bird Mobile (US$68) which showcases a flock of three little felt birds and a quaint woven twig nest, complete with speckled egg. 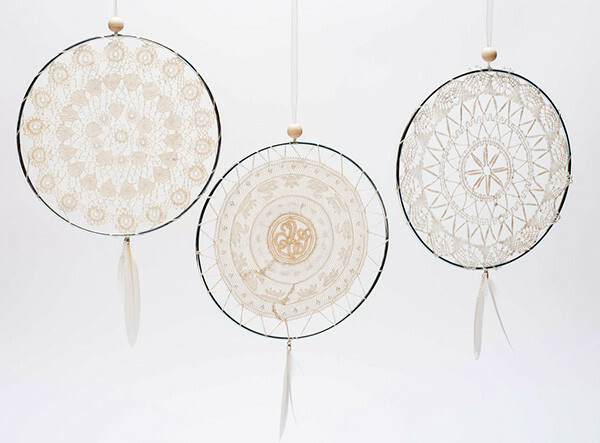 An honorable mention must also be made to the dreamy by name and nature Lace Dream Catcher (US$38) – a super sweet addition to any nursery I’m sure you’ll agree. 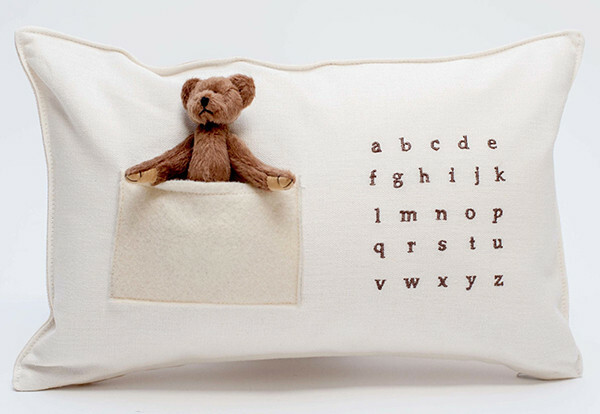 Set to become a nursery chair favourite, the ABC Bear Pillow (US$45) with embroidered alphabet is made from organic hemp and is home to a dapper teeny teddy bear who tucks in nicely to his felt pocket. 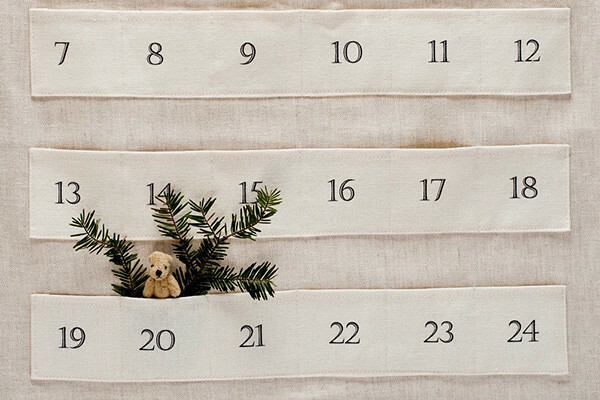 If you’ve always wanted a timeless advent calendar that you can get out year after year, this Advent Calendar (US$100) must be it. Choose your own treats to pop into each pocket, be it a small toy, a coin or a tasty treat! See the whole collection in all of its tranquil glory, over at Pi’lo.